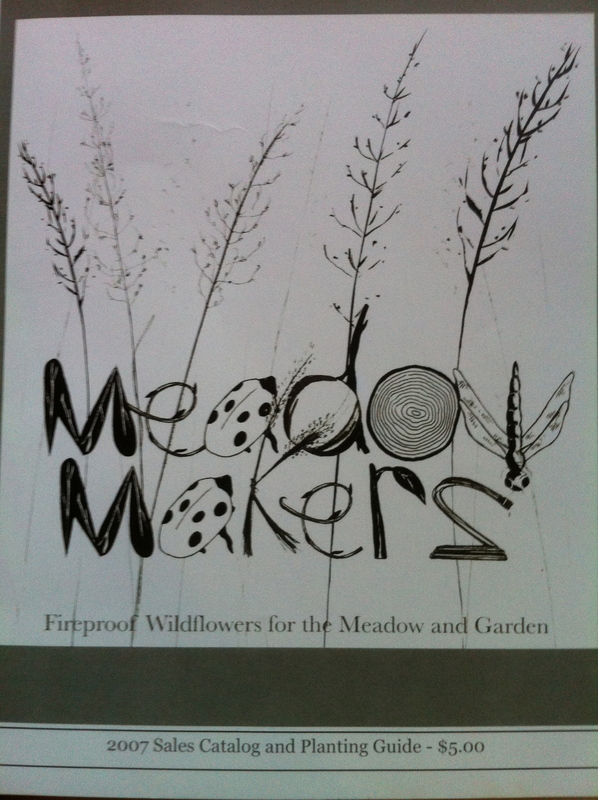 Retail Seed Publication, Descriptive Catalog – 2007 – Meadowmakers: Fireproof Plants for the Meadow and Garden | Meadows. Seed. Art. 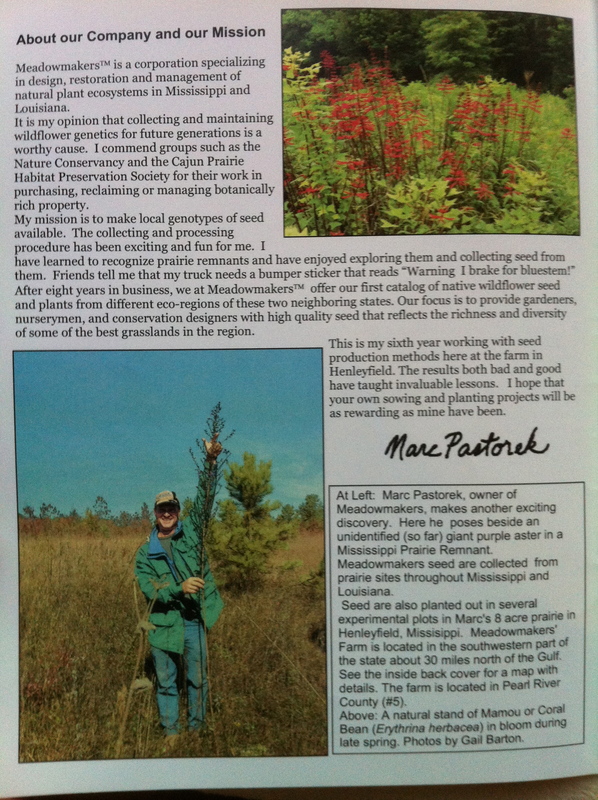 In 2006, I was fortunate enough to enlist the talents of Gail Barton, of Meridian, Mississippi, to help me produce a catalog geared to prairie and herbaceous pine understory. It turned out to be quite a task and I certainly didn’t know what I was getting into, but Gail did. She had produced catalogs for her nursery business for years until she and her husband Richard had had their fill, and retired from the nursery biz, back in the day. 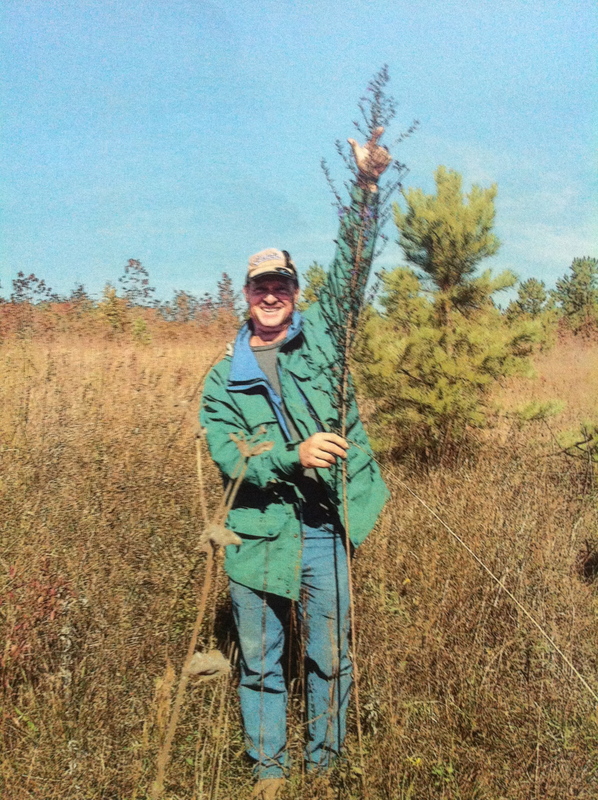 Gail and I had been friends and students of botany for many years and had logged many miles hunting and studying prairies in Mississippi. We looked at our “botanizing” as fun, but it was really research mixed a love for this wonderful botanical association. That’s what put us in the truck, and on the road. It recently paid off with our ever-so-cool year-long prairie-scaping gig, helping on a team organized to develop an authentic, strictly-local-genetic Black Belt Prairie wild-garden at the University of Western Alabama (the Center for the Study of the Black Belt) Gardens. We were able to use everything we both had learned over the last fifteen years on the road grazing prairies, and from deep in our earlier horticultural years, including the technical stuff and just-plain observation and interpreting that into a an actual wild-scape exhibit. Though the catalog we produced is now seven years old, it’s a real solid piece of work, I think, still today. Its one of the best things that I have been involved with in my career. 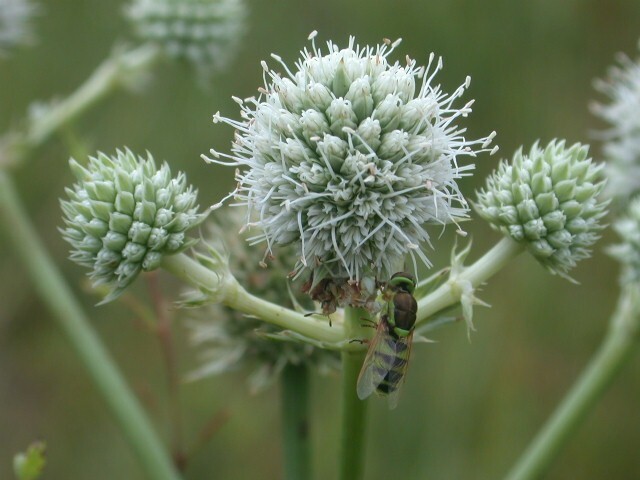 Even though it was geared to marketing individual seed species sales, it covered the overall idea of wildscaping with native herbaceous systems and a bit of the process involved. It is still relevant. It was a one-hit-wonder, fizzling out when I realized that there wasn’t a market for tiny seed packs. I am still working on what is the best way to use this idea and how to best do it. I always welcome comments and corrections from those who browse it. thanks for your interest. Here it it in its entirety. just click the link below for the pdf file.